On March 16, 1802, President Thomas Jefferson signed into law a bill of the United States Congress authorizing the establishment of “a military academy to be located at West Point in the State of New York.” During 2002, the Bicentennial of the founding of the United States Military Academy were observed at West Point and at other designated places throughout the world. 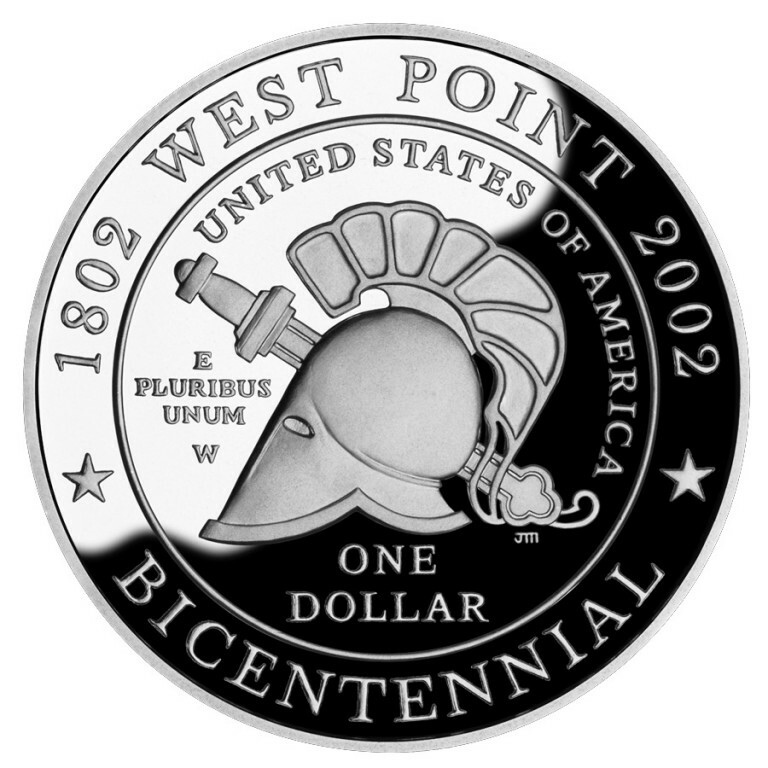 This coin was produced by the Department of the Treasury, United States Mint, to commemorate the bicentennial of the United States Military Academy at West Point, NY. 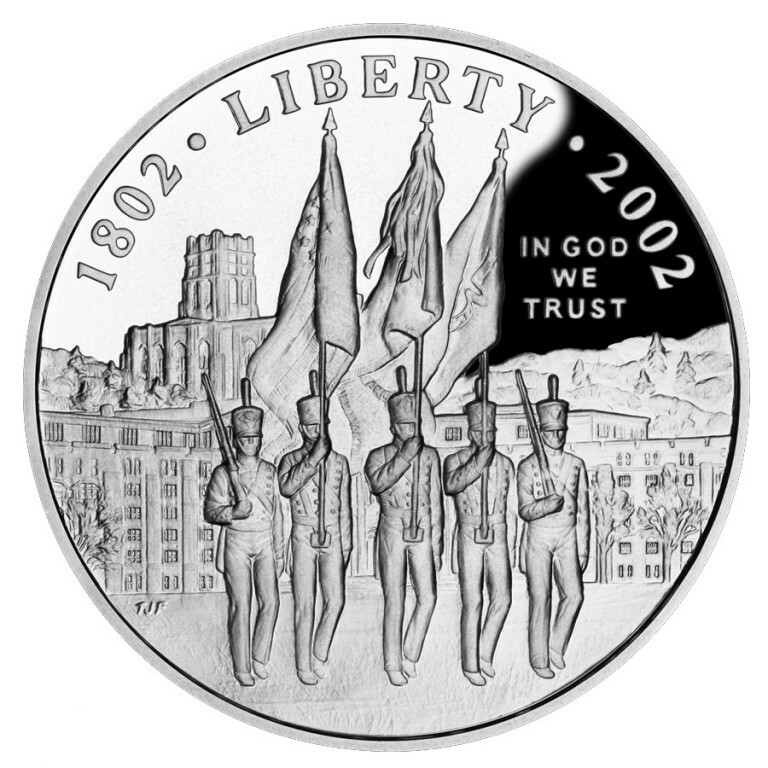 This coin is legal tender of the United States and was available from March 16, 2002 through March 16, 2003. The proceeds from the surcharges on these coins assist the Association of Graduates' efforts to provide for the academic, military, physical, moral and ethical development programs of the Corp of Cadets. 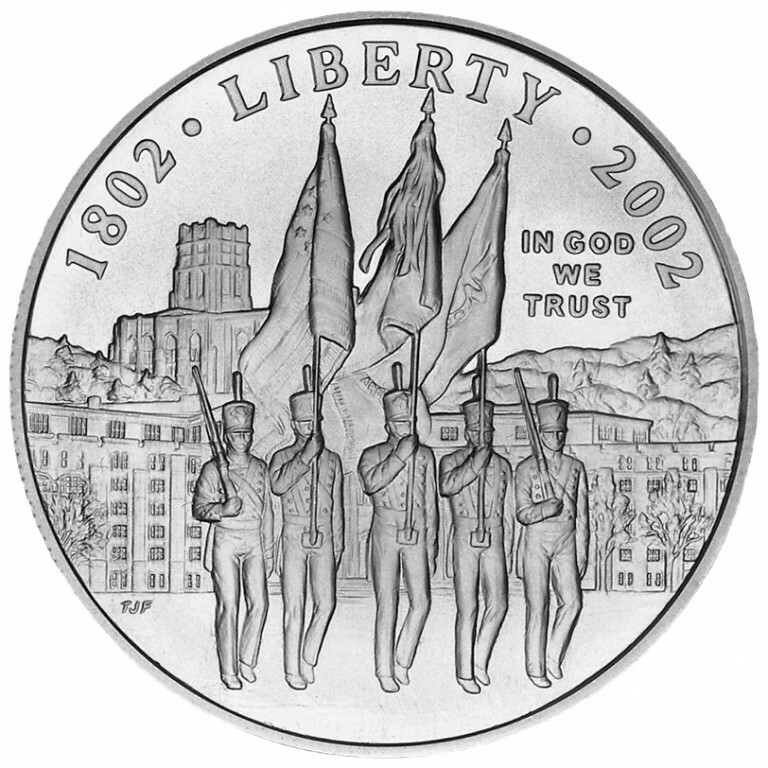 The obverse, by Mint sculptor-engraver James Ferrell, depicts a cadet color guard in parade with the Military Academy's Washington Hall and Cadet Chapel in the background. 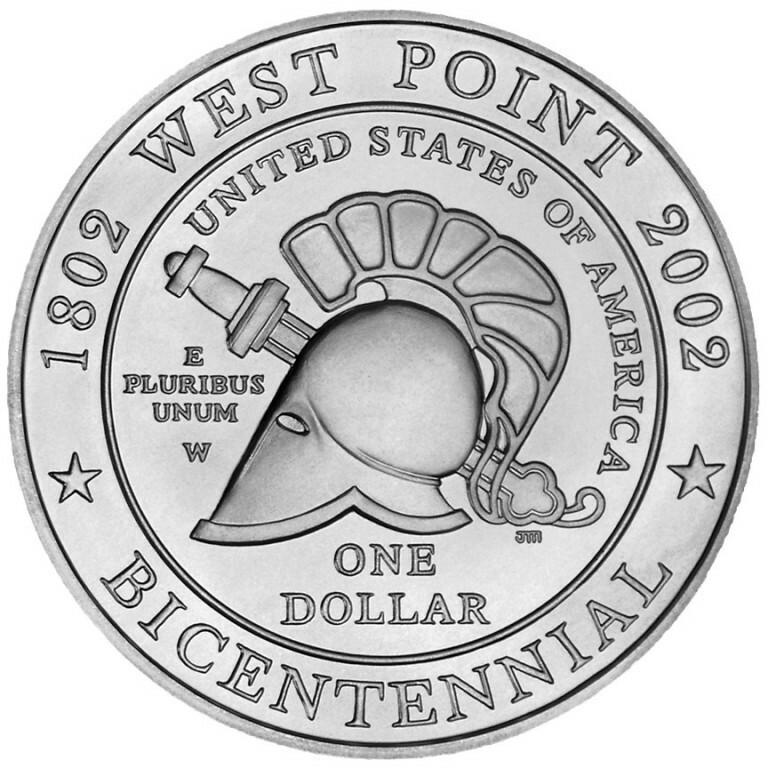 The reverse, by United States Mint sculptor-engraver John Mercanti , depicts the United States Military Academy Bicentennial logo.